It was Sunday evening, Bags are ready, few friends joined me from Bangalore and Noida and we were very excited about the next morning. I set up alarm at 3 a.m. and went to sleep but still not able to sleep, want to cross check to avoid missing anything in my mind. Our adventurous journey was started from Delhi airport. I was expecting some kind of small aircraft till Leh, but it was an Airbus with tourists across the world. The feeling that Ladakh was just a 1 hour 20 minutes away from Delhi Airport make all of us full of liveliness, It was really astonishing to see snow-wrapped Himalayan from the flight. Then we landed in Leh Airport known as Kushok Bakula Rimpoche airport, highest commercial airport in the world (at about 10,682 ft. altitude). It’s a small airport, managed by Indian Army and Airport Authority, we were surrounded by beautiful mountains on all sides. Our travel manager ‘Mr. Aashiq’ whom we called ‘Dr. Chang’ because of his disciplinary behavior, greeted us “Juley” means “Hello” in ladakhi language in the hotel & advised to take 6-7 hours rest to get acclimatised to the high altitude as oxygen percentage is very less over there & can cause Acute Mountain Sickness (AMS). But we didn’t feel anything rather than feeling sleepy as we all woke at 2 am in the morning. After lunch, we are ready with our traveling map and got introduced with our driver “Ali”. 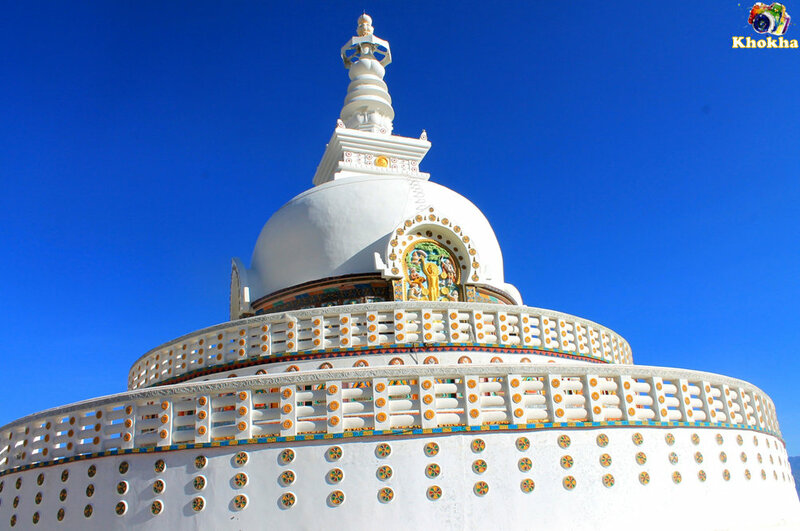 We visited Shanti Stupa; it was stupa in top of a hill where we could see the whole Leh town. 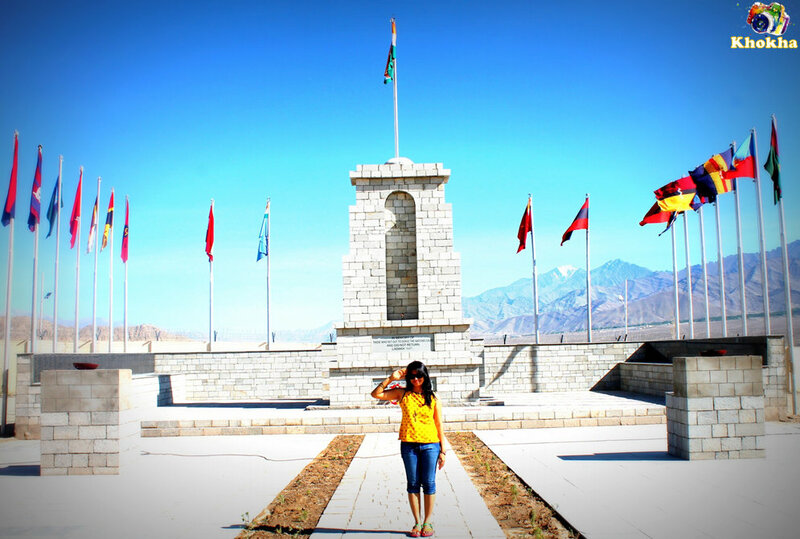 Then we also went to “Hall of Fame” to get a glimpse of Ladakh‘s culture and gratitude of the incredibly tough life Indian soldiers lead. In the evening, we started exploring local market in Leh, we found lots of Tibetan items, Coral, Turquoise gems, stone jeweleries, metal items, holly flags, prayer wheel (Mani wheel). We also tasted local Ladakhi cuisines like Thukpa, Gurgur chai (like Soup) & Momos. Enjoyed our first day in the place ‘Leh’, where dreams met the reality. Sky is so clear, seems like if jump can touch the stars. Went to sleep early as next day was a big day journey to “PANGYONG LAKE”. Go on a Double Hump Camel Safari in Nubra Valley. Ride to world’s most deadly and highest motorable road. Feel the stay in peak and limited oxygen in atmosphere. Some may also like Paragliding and Skiing. Shop at the Leh Market, look for rare Copper Samovars,Pashmina,Prayer wheels and Idols. Visit to the Hall of Fame and feel proud moments with Indian Soldiers. Indus River Rafting and let yourself free. Cycling up the hill and feel the rusty mountains around you. Sit quietly by the Pangyong lake side. Click Click and Go crazy with your Camera. Eat Maggi at the peak and have Chai. Pay Homage, Pray some and Spin the holy drums (Prayer Wheels). See the Indian Flag flying high. Stack some stones in Pangyong Tso and near Monastery and make a wish. Try moon watching and count stars in crystal clear Sky. Watch majestic Himalayan reflection in lakes in Pangyong TSO and Nubra Valley. Watch the sunrise by the lake. Srinagar to Leh: The 434-km Srinagar-Leh road. Srinagar-Leh road is the main route with an overnight halt at Kargil (recommended). This road is open between mid May and November. 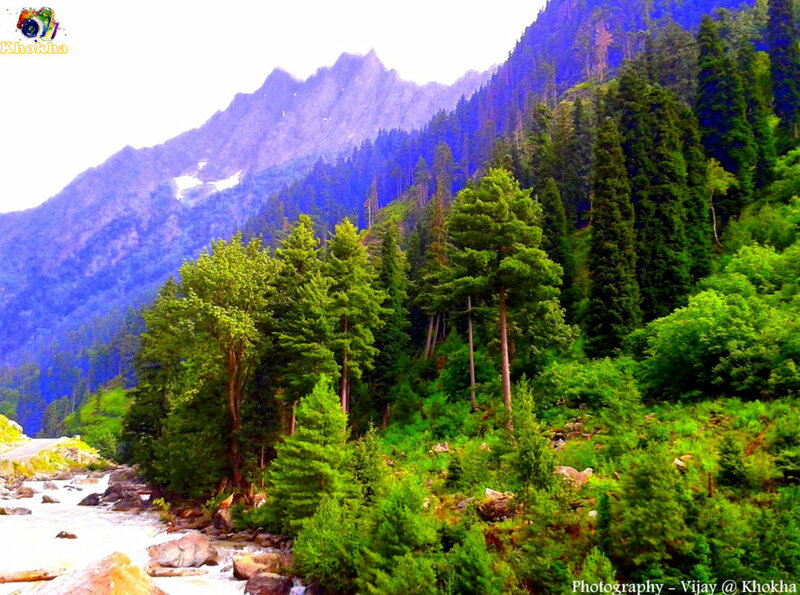 It is also going though beautiful Sonmarg and going in parallel with Indus river. Ordinary and deluxe buses of the J&K state road transport corporation regularly on this route. Taxis, cars and jeeps are also available at Srinagar for the journey. Recommended a Private Car to go to LEH. 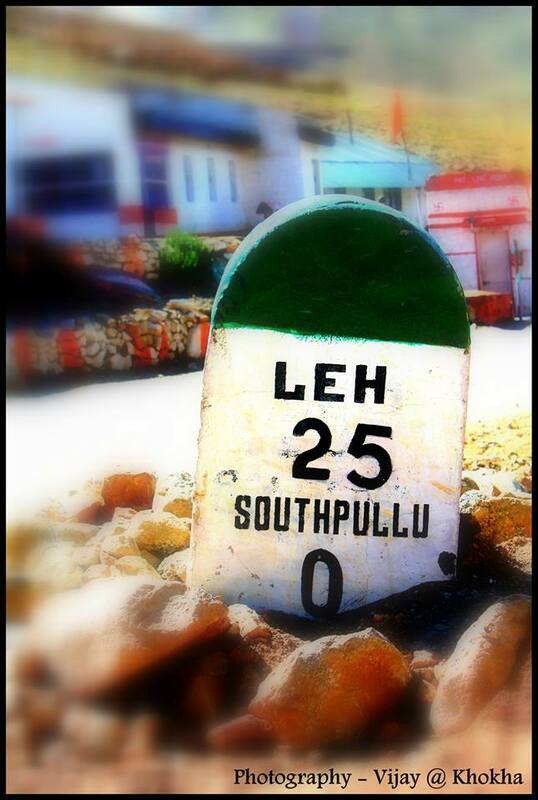 Manali to Leh: The 473-km Manali-Leh. 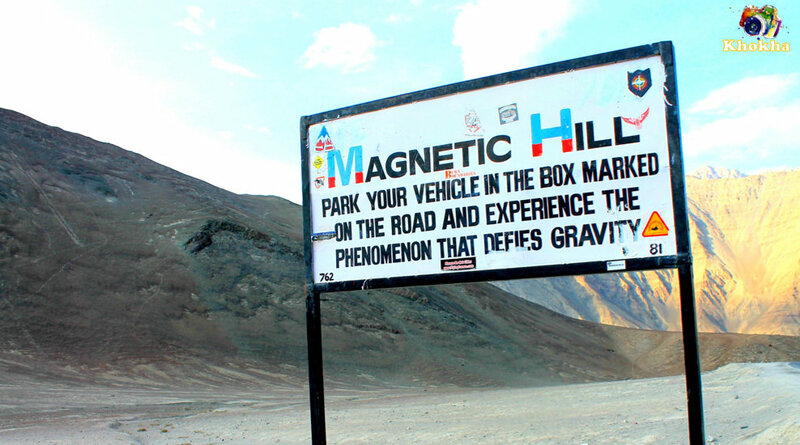 The Manali-Leh Highway – This is a spectacular journey with an overnight halt at tented camps at Sarchu or Pang. There are many Popular passes between Manali – Leh like Rohtang Paas, Keylong, Bara Lachha Pass, Zanskar Range and Upshi. This journey can be undertaken by the deluxe and ordinary bus services operated by the Himachal Pradesh tourism, HP SRTC and the J&K SRTC or by jeep from either Manali or Leh.Kargil – On the main highway between Srinagar and Leh. Many travellers prefers Motor Bike ride from Manali – Leh. 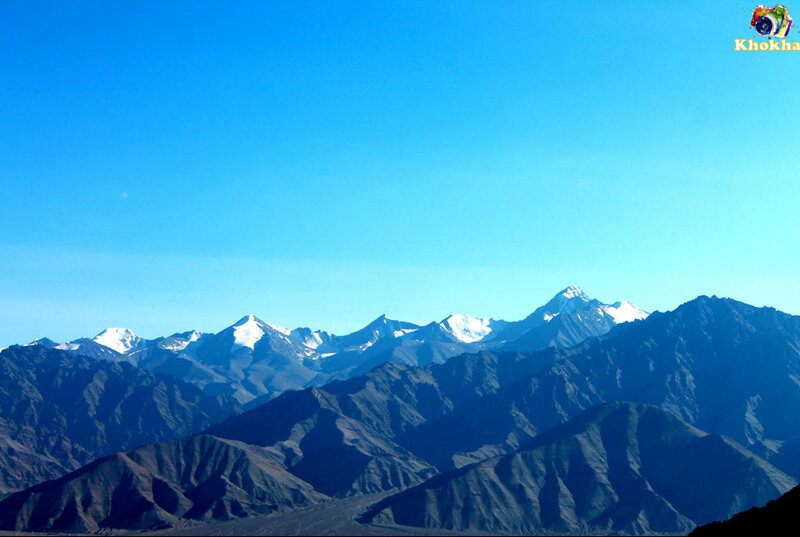 Though Ladakh is open for tourist throughout the year, the best period for visit and trek is from June to October. After November most of the trekking routes are closed due to heavy snowfall at high passes. The best time for ‘Chadar trek’ is from January to March. 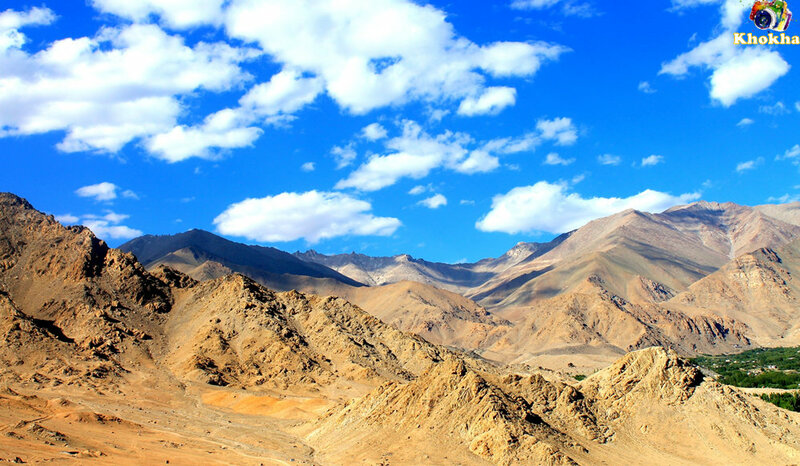 Ladakh in Summer: June to September are the best time to visit Ladakh in summer. At this time, Ladakh is an unparalleled paradise, with clear, amazing views and warm and sunny weather – the average temperature range during the day is about 20–30°C. (Recommended). Ladakh in Winters: Oct to May are very cold here. Snowfalls, frost bites makes Ladakh very unapproachable, inhospitable and non-inviting by road. Temperatures range during winter below 0 Degrees Celsius most of the time and its snow everywhere. Also, since the roadways are closed, know that hotels and guest houses are mostly having the limited stocks of food with them. Wind cheaters, Thermals & Warm Cloths like Gloves, Mufflers and Woolen cap. Postpaid Mobile SIM’s (preferably Vodafone, Airtel, IDEA or BSNL). Power backups to charge camera, mobiles and laptops. Energy Drinks, Eatables (Toffees, Chocolates, Biscuits, Drinks etc). Good Trekking Shoes & Boots. Medicines (if required, as there is only few Pharmacies available nearby). Recommended to carry medicines for Altitude Sickness and Motion sickness. There are many options to stay in Ladakh, ranges from Camps to Luxury Hotels. 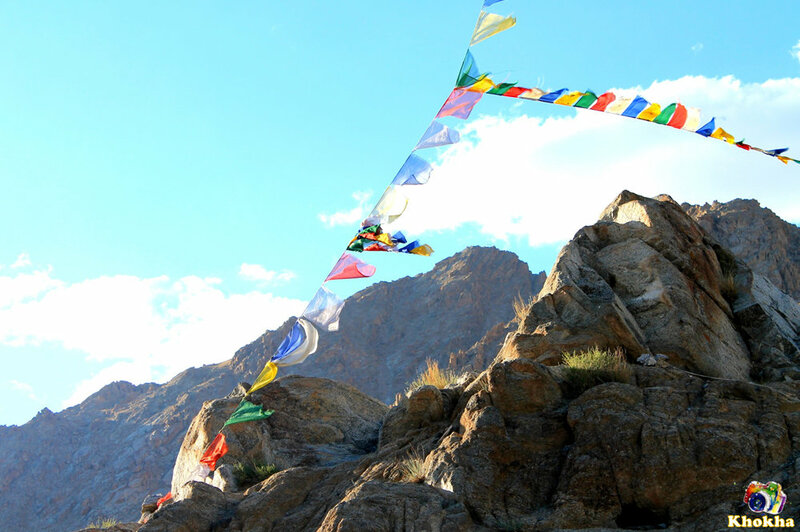 In Nubra Valley and Pangyong TSO, there are not many options of Hotels, but peoples are opting to stay in camps here. It’s recommended to pre-book the stay before coming to Ladakh. in LEH-LADAKH: We stayed in Bijoo Hotel in LEH, recommended for Families. Location: Old Leh Rd, near main market place, Leh. in NUBRA VALLEY (Nubara Valley Trip): We Stayed in Karma Inn, recommended for families and nature lovers. NOTE: Travelers you can opt CAMP stay here. NOTE: It is more stay more than 3 days and including Air tickets cost. 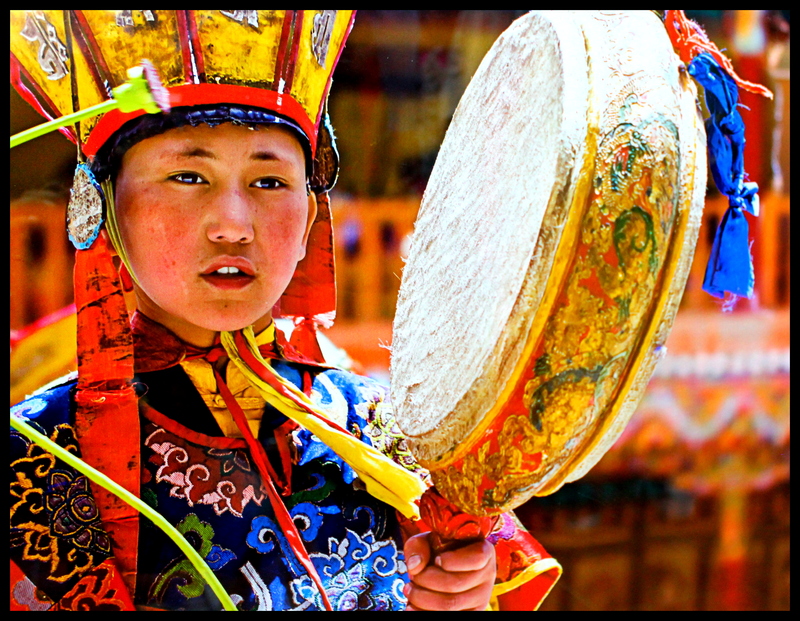 Losar Festival: Losar festival is perhaps the most popular and eagerly-awaited festivals in Ladakh. It starts on the first of eleventh month of every year. Chang, a local beer made from Barley, flows freely as a part of the celebrations. Monastery Festival: A large percentage of these festivals take place during the winter months probably because those are the months of relative inactivity for the local people. The biggest and the most famous festival of Hemis is held in late June or early July, Lamyuru festival takes place in early July, Phyang in late July or early August. Some festivals are also held in February. Ladakh Festival: Before the start of the winter season it becomes engrossed in vibrant festivities by organising the Ladakh festival which continues for seven days. The festival starts with long processions followed by various types of dances like lion dances, Yak dances etc. various forms of sporting activities like Archery, Polo matches, white-water river rafting, and treks are organised throughout the duration of the festival. Hemis Festival: Hemis festival takes place in the Hemis monastery of Ladakh every year on the tenth day of the Tibetan lunar month. The festival is held to commemorate the birth anniversary of Guru Padmasambhava. Lovely place. Once everyone should go there. Welcome to a young travel blog "Life Time Musafir" (www.lifetimemusafir.com). Note: All the Pictures included in the Blog is 100% belongs to the owner and photographer and have Copywrite to it. Using without permission is strictly not allowed and an offence. www.SNAPistic.com and www.LifeTimeMusafir.com has only right to use the pictures and videos displayed in this blog. 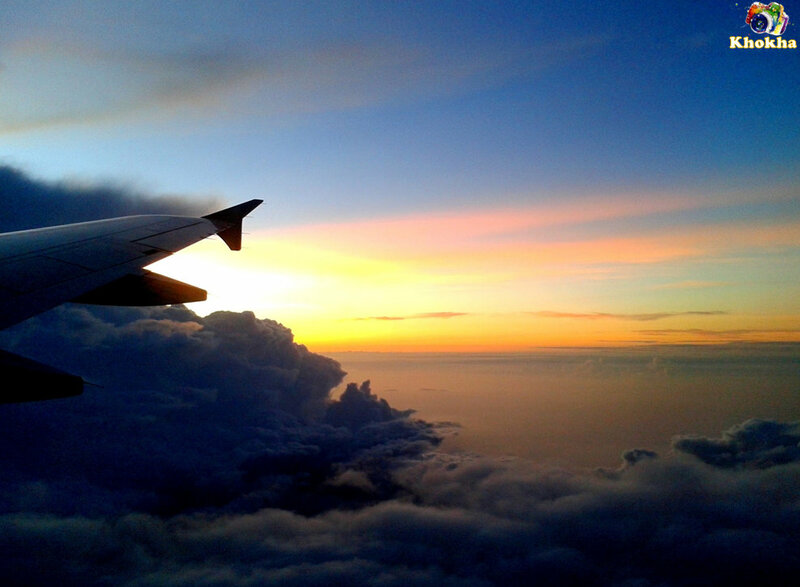 Follow "LifeTimeMusafir : Traveler Blog"